Angela Merkel survives, but her party suffers. The regional elections of March 13 signal a shift in Germany’s political landscape. Angela Merkel’s Christian Democrats suffered heavy losses, while the Alternative für Deutschland (AfD), a new populist right-wing party, garnered double-digit support. Yet the chancellor’s power remains unscathed, if not enhanced – for now. A tired Angela Merkel fended off questions about her refugee policy at a press conference on March 14. “This is a difficult day,” the German Chancellor admitted after her Christian Democratic Union (CDU) suffered heavy losses in three regional elections. Germany’s new right-wing movement, the Alternative für Deutschland (AfD), scored heavily, reaching double digit results in two West German states and a whopping 24 percent of the votes in the East German state of Saxony-Anhalt. 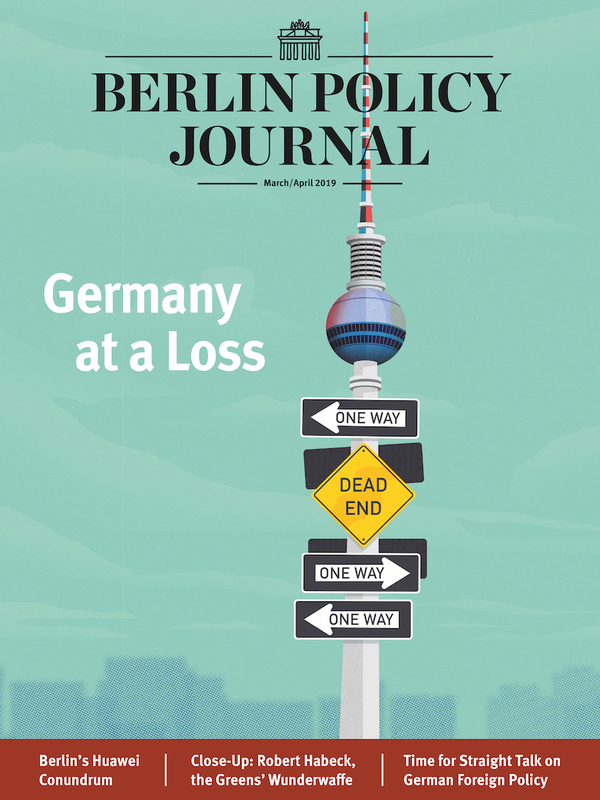 Journalists and politicians from across the political spectrum agree that both the CDU’s losses and the AfD’s gains are Merkel’s personal responsibility. Her refugee policy overshadowed every other political issue. Yet Merkel seems to have no regrets. “In principle I will continue to pursue this course as I have done during the past several months,” she said at the press conference. Isn’t it curious, then, that nobody in her Christian Democratic Union seized on the election outcome to question Merkel’s leadership? On explanation is that the results aren’t as straightforward as the media – particularly the international press – are saying. For one thing, most Germans remain reasonably content with the status quo. In all three states that held elections on March 13, voters backed the incumbent. Only one of them was a Christian Democrat, but all three – the two others were a Green and a Social Democrat – support Merkel’s refugee policy. Second, Merkel is a safe pair of hands. 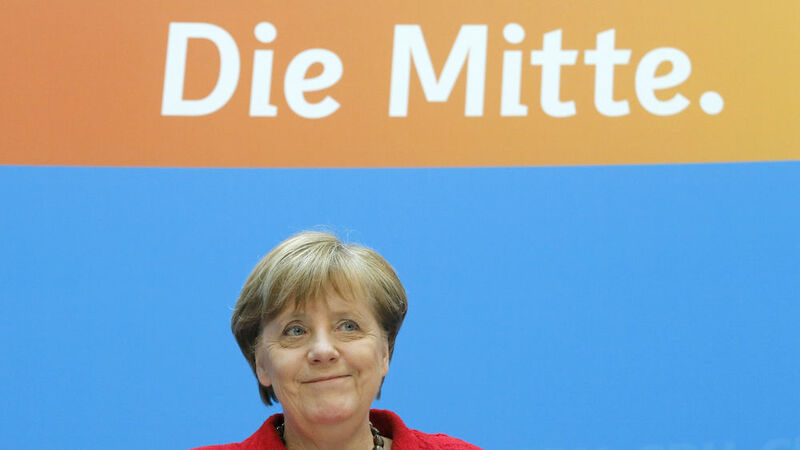 Germans trust her more than anybody else in the CDU, or indeed in the other political parties. Julia Klöckner, a younger politician from the Rhineland-Palatinate who had been touted as a possible successor to Merkel, clocked up enormous losses in the regional elections. Interestingly enough, Klöckner’s biggest mistake during the campaign was to openly question Merkel’s stance on refugees. Third and most importantly: very quietly and without ever admitting any mistakes, Merkel has already changed direction on the refugee issue. Gone are the days when the German chancellor personally welcomed Syrian families fleeing a terrible civil war. There are no more selfies taken with a smiling chancellor that might encourage people in faraway Afghanistan, Iraq, or Ethiopia to undertake the dangerous trek to Germany. Merkel, who decided to open Germany’s borders to refugees stuck in Hungary in September of 2015, has refused to do the same for refugees now mired in Greece. Even the plight of the women and children caught in the mud at Idomeni and the Macedonian border hasn’t changed that. Instead, Merkel is putting all her energy into getting Turkey to take back as many refugees as possible. Still, it is far from certain that Merkel will manage to bring down the number of people seeking asylum in Germany quickly. If she can convince Turkey to close off the routes to Europe, many refugees will revert to the more dangerous route from Libya across the Mediterranean. Having taken in about a million people in 2015, Germany continues to be the most attractive destination in Europe. Thus the three regional elections take on a particular significance for her party – as well as for Germany and Europe. 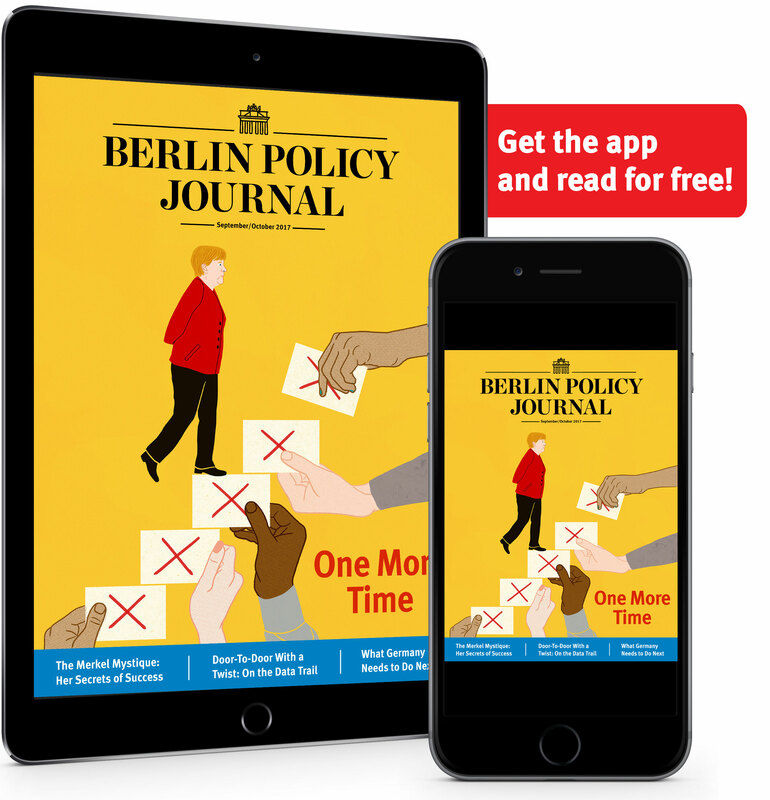 Under Merkel’s leadership, the CDU has moved considerably to the left – not only on refugees, but also on core conservative issues like military conscription, gay rights, the relationship with the church, and many aspects of social policy. The resulting vacuum on the right is now being filled by the AfD. Whether this new party will continue to grow remains to be seen. But if it fails, it won’t be because of Merkel’s CDU; it will be because new parties that largely base their support on protest movements tend to be unstable. If the AfD, which is now represented in half the country’s state parliaments, manages to consolidate its grip on the right, the Christian Democrats will be structurally weakened. Elections, be they on the federal or the regional level, will become much harder to win. Germany’s Social Democrats were hit by similar development through the emergence of the Left Party. Germany as a whole will also become more difficult to govern because the public is becoming increasingly polarized. The AfD’s most important gains have come from people who previously had given up on voting, people disenchanted with Germany’s political and social system. For them, refugees represent the most threatening aspect of globalization. This feeling would certainly spread if the country gets hit by an economic downturn. On a European level, Merkel will have to brace herself for a certain amount of Schadenfreude over the emergence of an anti-refugee right-wing movement in Germany. And she is increasingly feeling a backlash from having neglected to build alliances within the EU. Still, as long as most other European leaders show so little vision or leadership, Merkel’s position in Europe remains uncontested. What this amounts to is a paradox: after Germany’s regional elections, Merkel’s leadership is in even less danger than before. Yet the defeats her party suffered on March 13 will make it more difficult for any future chancellor to gain a similar position of power.